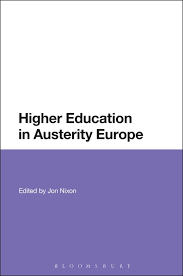 Marek Kwiek published an opening chapter “Universities and Welfare States Coping with Permanent Financial Austerity: Pressures on (Competing) Institutions” in Jon Nixon (ed. ), Higher Education in Austerity Europe. London: Bloomsbury. 2017. 20-38. The link to the book is here and the chapter (in PDF) is here. The welfare state is a “particular trademark of the European social model” (Svallfors 2012: 1), “the jewel in the crown” and a “fundamental part of what Europe stands for” (Giddens 2006: 14), as are tuition-free universities, the cornerstone of intergenerational social mobility in Continental Europe (Kwiek 2015c). The past trajectories of major types of welfare states and of universities in Europe tend to go hand in hand: first vastly expanding following the Second World War, and especially in the 1960s and 1970s, and then being in the state of permanent resource-driven and legitimacy-based “crisis” in the last two decades. Welfare states and universities, two critically important public institutions, seem to be under heavy attacks from the public, the media and politicians. Their long-term sustainability is being questioned, and solutions to their (real and perceived) problems are being sought at global, European, and national levels. Despite vastly different national circumstances – welfare state regimes and universities being born in different national contexts (see Kwiek 2005 on Central Europe and Christensen et al. 2014 on the Nordic countries) – both public institutions have been operating under increasingly adverse financial conditions and exposed to large-scale systemic reforms across both Western and Eastern Europe (Zgaga et al. 2015; Stensaker at al. 2012). This chapter is not about reforms and their current and future directions in the public sector, though. It is about an increasing internal competition between major components of the widely understood welfare state architecture as it has emerged in the last half a century: in particular, between old-aged pensions, healthcare systems and higher education and academic research as major claimants to the public purse. The competition is not only for public funding, although the financial dimension of ongoing transformations is of paramount importance (Kwiek 2015b); it is also for the place these three public institutions take in global, European and national social imagination. The assumption of this chapter is that public institutions cannot thrive without powerful supportive discourses concerning their social roles. When these discourses – which provide social legitimation combined with public funding – weaken, institutions weaken together with them. I focus on an ongoing and still largely latent struggle between major public institutions, with some predictions about its outcome. Historically, the welfare state after the “Golden Age” of the 1960s and the early 1970s entered an era of austerity that forced it “off the path of ever-increasing social spending and ever-expanding state responsibilities” (Leibfried and Mau 2008: xiii). Similarly, public higher education and research in Europe also stopped being a permanent “growth industry” and the “expansive regime” of science of the postwar period, with the rate of accumulation steadily accelerating over time, was replaced with a new regime that John Ziman termed “science in a ‘steady state’” (Ziman 1994: 67, 90). Europe has been struggling with long-term consequences of both processes in both sectors for several decades now, with different pace, nature and depth of changes in different countries. Ever-expanding “endless frontier” in science promoted by Vannevar Bush (1945) is no longer with us – and in the last two decades universities have been exposed to large-scale reform attempts, as widely analyzed in higher education research (see especially recent collective volumes on reform dynamics in Europe: Stensaker et al. 2012; Enders et al. 2011; Schuetze et al. 2012; Zgaga et al. 2015; and Kwiek 2015a).